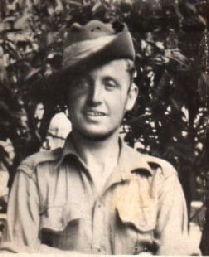 ﻿ chindit burma 1944 true war story. Jackie Coogan actor. How an American film star Jackie Coogan risked his life to save mine. ” No shaving in the jungle! This means an extra two minutes in bed” he would say... ” A tired soldier is not a good fighter!" And he was right, as usual. Morale amongst the troops was excellent: A small red headed trooper from Manchester was refused permission to go with our unit when we were ordered to the front. He was crying, that’s how much it meant to him to stay with the unit he had trained with. The sergeant major took him to see the commanding officer and insisted the whole units morale would suffer if he didn’t go. The next day he marched off with rest of us down the Burma road. We passed yank units heading back from the front lines and as they went by they shouted "Your not taking him with you... are you?” They couldn’t believe a five foot tall bloke would hold his own against the Japanese. But he proved himself time and again and fought like the best of us. We went into the jungle on foot, infiltrating and penetrating enemy lines. Mike Calvert leading our mixed group of British and Ghurkha troops. Hill after hill. Mile after blooming mile. The jungle seemed like it would never end. We blew up this and that: the main aim to cut the Myitkyina railway supply line. Destroyed anything enemy we could find. Hit and run. Keep the enemy guessing. Took casualties, as many to disease as anything else. But keep going, that was all in our minds. To give up was not an option. A pistol and grenade was left to anyone that we could not get out. They were on their own if the enemy was close by, we could not carry them out. We all knew it, we had no option... Re-supply was by air in a clearing marked by smoke. Bundles dropped by parachute which we mostly retreated. Sometimes an American helicopter could land and take out two wounded soldiers at a time. They were nothing like today’s helicopters, much more primitive. Bloody dangerous looking things in fact, like a big bug and made a hell of a lot of noise which I thought they must hear in Tokyo! I received my call up papers in 1940. I was twenty three. My brother was already in the army, so my mother and father were not at all keen on me having to go as well, but I was young and pretty keyed up for it. After the medical examination and a short wait, I was sent to Breton in Wales, to join the South Wales Borderers. It was a long way from home for a Lancashire lad and totally different from my home town of Preston, quiet, pretty, but a boring sort of place I thought. Basic training was a doddle for me though,I was always playing football and cricket, keeping fit that way back home in Preston. At the camp it struck me that Britain was in bad shape for war,the equipment was pretty poor and there was only one bren gun available for the whole company instead of one per section. But I didn’t let it worry me, I was keen to get on with things, what with north Africa in the news all the time, I dreamed of palm trees and exotic locations, besides I had all the sport I could handle. After six months training I was sent to Newton Abbot seconded to the Gloucester’s, they had had a rough time and their numbers were down to only forty five men. In 1943 after the regiment had made up their numbers we had our ship out orders. A boat trip to India, although they didn’t tell us that at the time. Only that tropical gear would be issued.